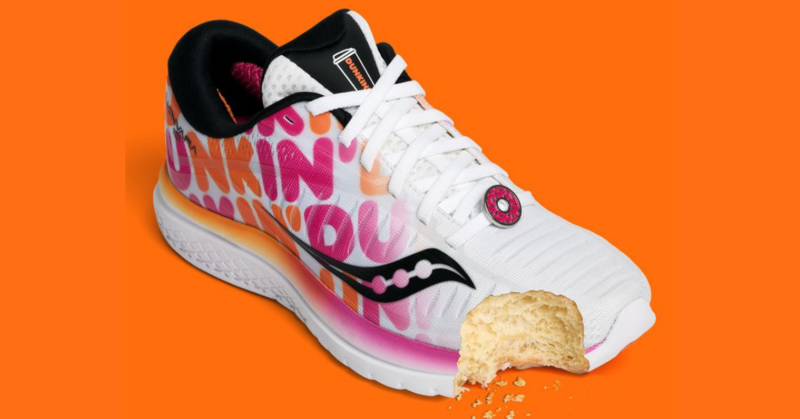 Saucony and Dunkin’ Donuts are back with another fashion-meets-food partnership. They recently released their second collaboration, the Kinvara 10 sneakers in honor of the Boston Marathon. 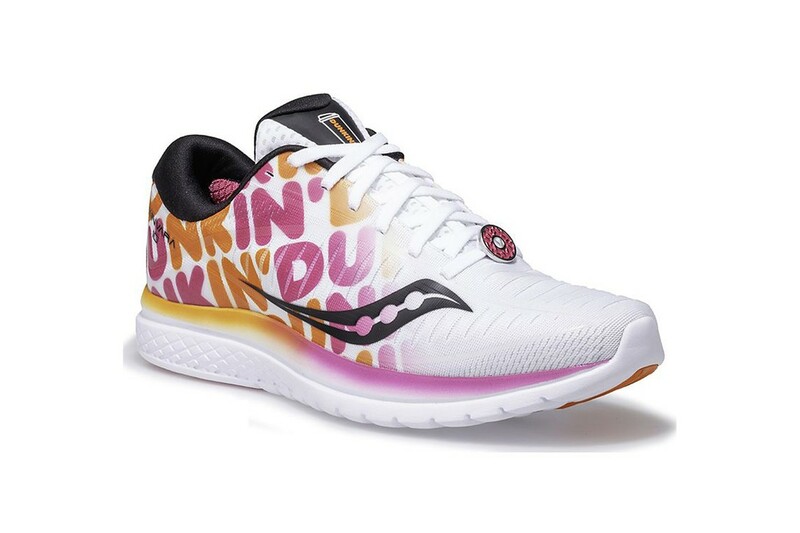 The limited-edition shoe is covered with the coffee company’s colors and symbols. Even the shoebox looks like a pack of donuts. 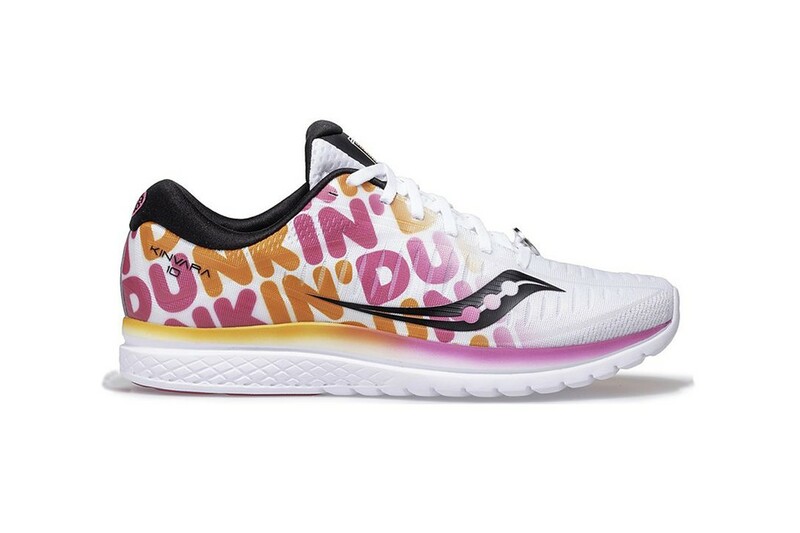 This edition follows the Kinvara 9 sneakers from Dunkin’ and Saucony. They were published around the same time last year and used similar festive design elements. 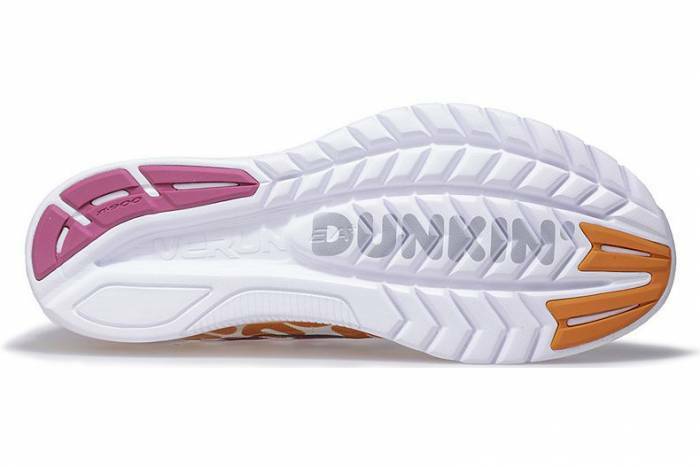 First, just like Dunkin’ Donut’s branding, the footwear is colored with bright orange, pink and white. Then, the food references come into play. 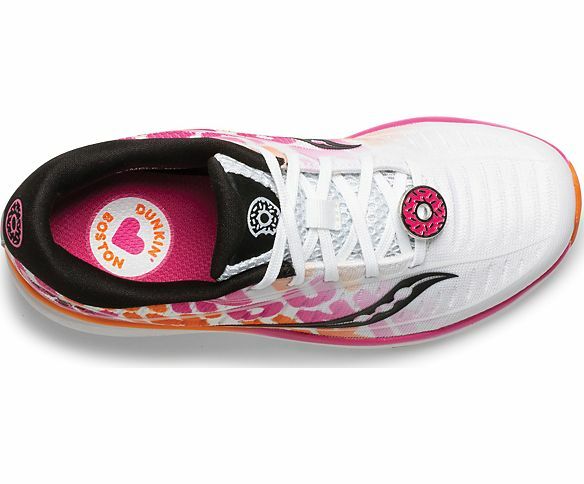 The shoelaces feature a strawberry-frosted donut medallion, while the tongue presents a coffee cup print. 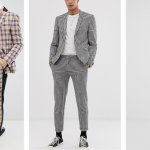 For the performance aspect, the style was built with engineered mesh. An EVERUN topsole, an EVA+ midsole and a FORMFIT contoured footbed that provide a more customized fit. Finally, a reflective “Boston” print is stamped on the heel, finishing off the kicks. 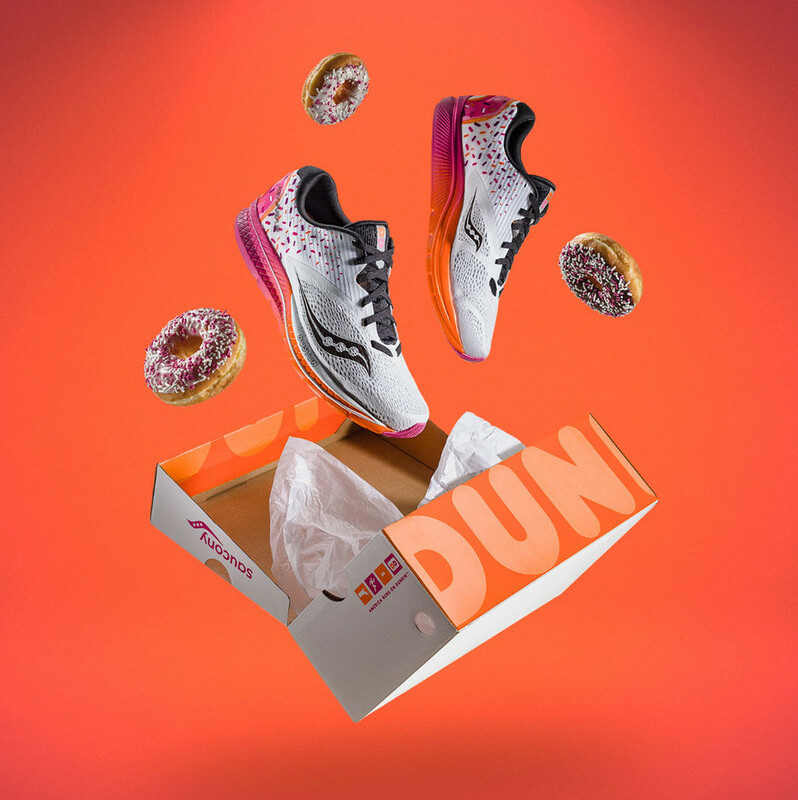 “Inspired by Boston’s historic marathon, these two iconic local brands have joined forces to honor the symbiotic relationship between running, coffee, and doughnuts” the two companies said in a statement. 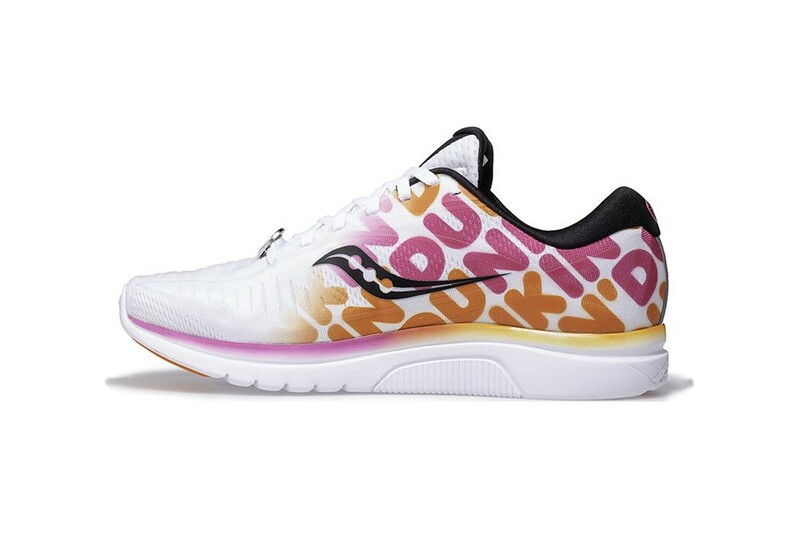 The Saucony x Dunkin Kinvara 10 launched on March 21 at the following Marathon Sports stores: Boston, Brookline, Cambridge, Wellesley and marathonsports.com for $120. 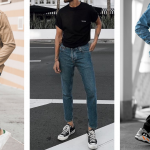 The sneaker is available in men’s sizes 7-15, and women’s sizes 5-12. 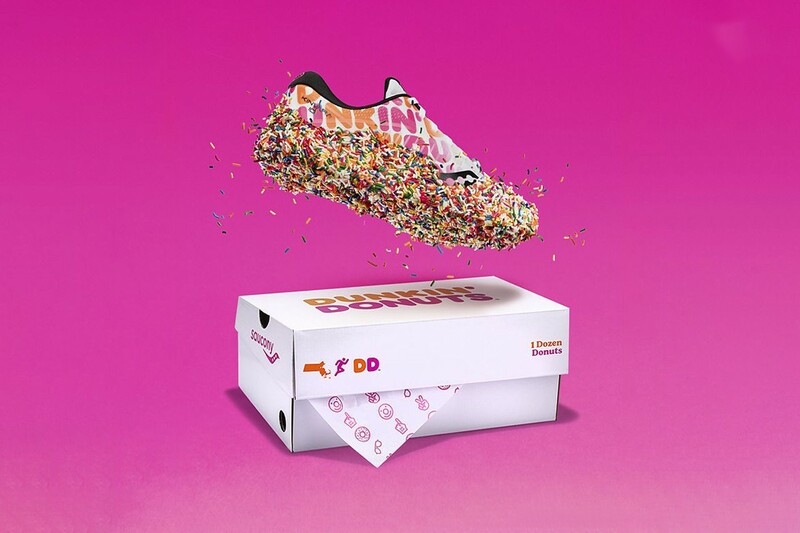 This year, Dunkin’ and Saucony have sweet news for your favorite munchkins. A kids’ edition is available in kids’ sizes 10.5 – 6 for $65.